Isn’t this just gorgeous?! 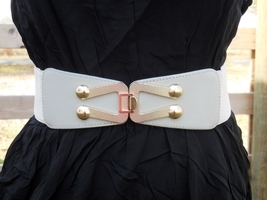 I love the pretty lines of the designer buckle! 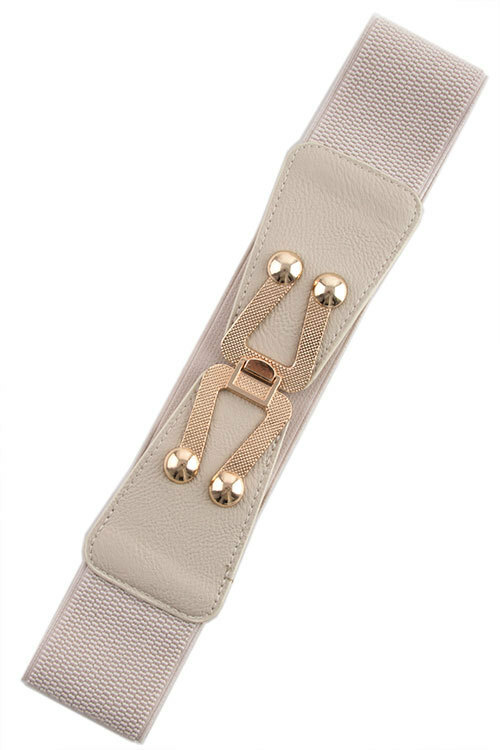 Elastic belts are a complimentary accessory for many wardrobe styles. Wear them with dresses, over layering pieces, or tunics – so many options! Have fun with layering while maintaining a lovely shape!